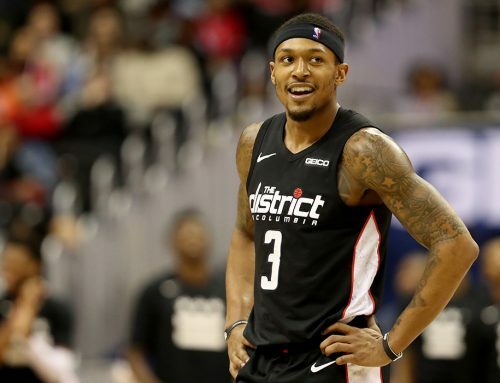 Thanks to some stingy defense, including a career-high four blocks from Bradley Beal, the Washington Wizards got back on track Sunday. 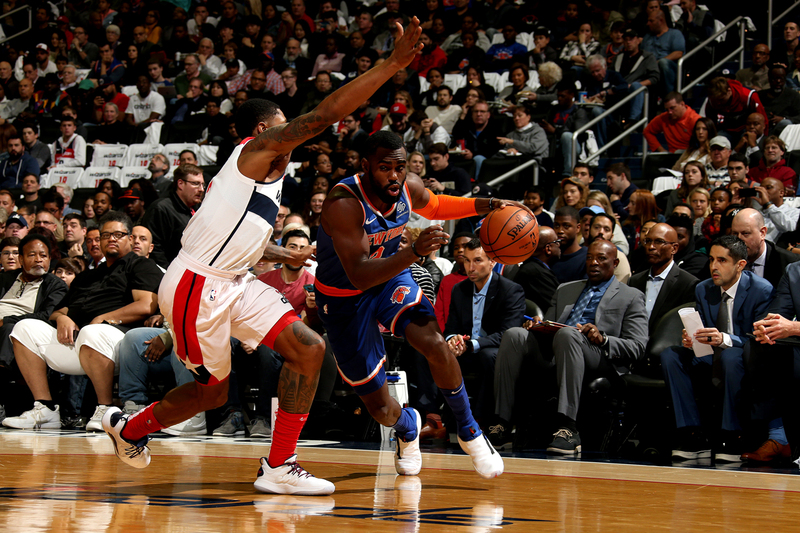 The Panda poured in 22 points and added eight rebounds and three assists, but his defense was the difference in a 108-95 win over the New York Knicks at Capital One Arena. Not only did Brad tie a career-high with four swats, he also helped hold his counterpart — Knicks guard Tim Hardaway Jr. — to just seven points on 2-10 shooting. Hardaway entered the contest averaging over 25 points per game. It wasn’t just No. 3 that stepped up on Sunday. It was a total team effort for a full 48 minutes, something that has eluded the Wizards so far this season. But BB and his teammates knew they needed to bring something extra to snap their five-game skid. They did just that. Washington had been scuffling defensively coming into the game. Over their previous five games had been allowing an average of more than 127 points per game. 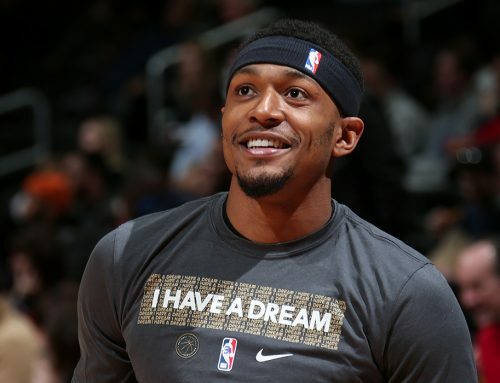 So after a five-game road trip that saw them lose the last four, and then a drubbing by the Oklahoma City Thunder upon their return home to D.C. on Friday, the Wizards knew something had to give. Perhaps the insertion of Dwight Howard into the lineup made the biggest difference. In just his second game of the season after missing the first seven due to a back injury, Howard recorded his first double-double of the new season, while finishing the game at +27 in over 30 minutes of action. 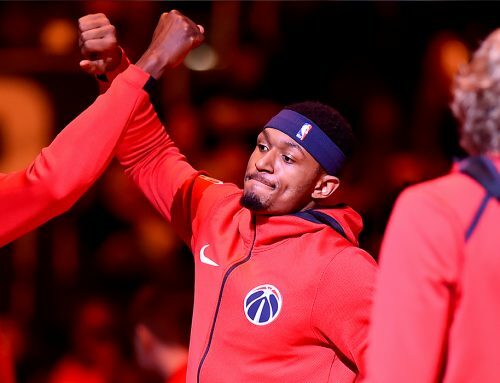 Howard’s delayed arrival to the lineup could be the missing piece to help the Wizards improve defensively and start racking up consecutive victories. They continue to have plenty of talent and success offensively, as evidenced by another great performance from the backcourt of No. 2 John Wall and No. 3, BB. Wall had a game-high 26 points, to go along with seven assists and four steals. 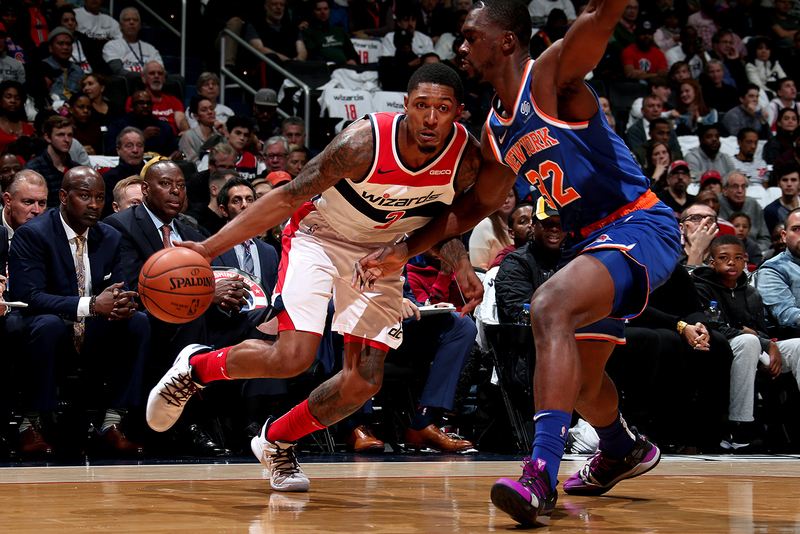 Markieff Morris also filled up the stat sheet with 16 points, six boards and five assists, and Jeff Green and Austin Rivers led the bench unit while Kelly Oubre started in place of an injured Otto Porter. 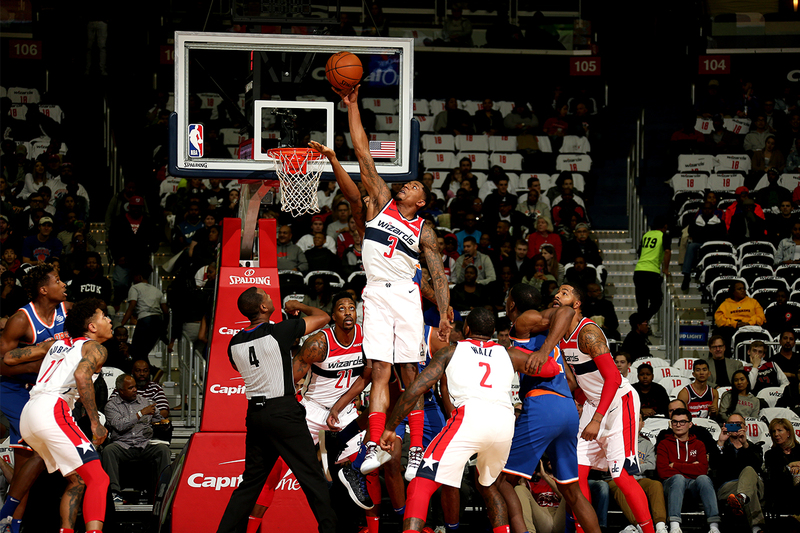 The key for Washington was their fast start and their defensive effort throughout the game. With guys like Beal and Wall handling the ball on the offensive end, points are not a concern for the Wizards, but when they can lock up teams on the other end, this team can be dangerous. It is just one win, however, in a long season, but it is a major step in the right direction after a slow start to the year. The Panda has high goals for himself and for this team. While their record still sits at 2-7, there are plenty of games left to play. The victory over the Knicks is just the first step in getting where they want to go. Next up, the Wizards will look to stack back-to-back wins when they travel to Dallas for a matchup with the Mavericks on Tuesday night. Tip-off is set for 8:30 p.m. ET on NBA TV.